Today I thought that I would do a review/comparison post on both of the beloved ABH Brow Wiz and Brow Definer. This post has been a long time coming, but I thought the 'test' would be more fair if I used both products for roughly the same period of time. The first brow product I purchased and used religiously was the ABH Brow Wiz. I was a little hesitant when I bought this product as I strongly dislike eyebrow pencils. I read a load of different views and watched a bunch of makeup tutorials on YouTube where this product was being used, and I made my mind up to just take the plunge and buy it! Boy am I glad I did!! I'm totally o b s e s s e d with this little gem! I love the fact that the nib is more of a waxy texture in comparison to normal brow pencils that are more crayon-like, it makes applying the product a lot easier and a lot more natural. It's just completely perfect and I can't rave about the brow wiz enough. So if you're thinking about purchasing it, then just go for it! Once my brow wiz had died (when I say died, I mean literally, like it died. It was snapped from travelling in my suitcase and had completely ran out..) I decided to purchased the new ABH Brow Definer that was all the rage when it first came out. When I first tried it, I really liked the shape of the nib and the fact that it was slanted. I also opted for a slightly different colour as the swatches were looking different from when I bought the brow wiz, I decided to go with soft brown - which is the perfect shade. At first, I was a little 'meh' about the brow definer but I think that was just because I was used to the brow wiz and it's small, precise nib. Flash forward a few months and I definitely still prefer the brow wiz, but I also quite like the brow definer. It's quick, it's easy and it's good for shaping your brows. I just tend to find it a little more difficult when it comes to precision, as the thicker nib can be tricky when it comes to the tail end of the brow. So, I prefer the brow wiz to the brow definer and I know this will be a little controversial to most people because I know everyone l o o o v e s the brow definer! Don't get me wrong, I don't think it's terrible but I also don't think it's amazing either. The brow wiz, on the other hand, I would recommend to absolutely everybody because it's honestly the best thing I've ever used on my eyebrows! 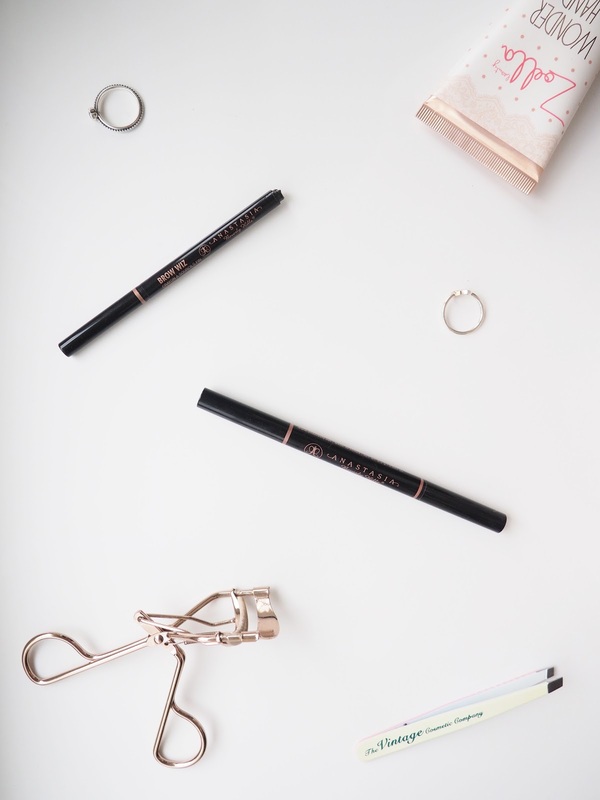 Either of these brow products would be perfect for anyone looking for a more natural filled in brow and the colour options are great - there's so many to choose from!